Submitted by Ingrid Anderson Florman on behalf of her cousin, Linda Anderson Slayden, Bob's eldest daughter. John Robert “Bob” Anderson of Minden, Nevada died at home on June 15, 2017. Bob was born in The Bronx, NYC, on December 31, 1932 and was the 4th child of Johan Alfred ‘Fred’ (1890 – 1962) and Edit Johanna Alexandersdotter Kaino (1897 – 1985) Anderson (originally Andersson). Fred Anderson came from Lapptrask in Hindersby near Kotka in Nyland, Finland to Eureka, CA for logging work. Edit Anderson was a descendant of Lars Frijs and was from Kaino, a part of Nedervetil in Osterbothnia. They met in Eureka, CA and were married there in 1919. Fred and Edit were members of Lodge #102 Eureka, CA. Fred and Edit later settled in The Bronx and were lifelong members of Lodge #209 Wappingers Falls, NY (closed September 1990). Bob grew up in an active Swedish Finn community in The Bronx with summers at Hillside Lake near Poughkeepsie, NY. Bob earned his Bachelor of Science in Engineering Physics from New York University and his Master of Science in Electrical Engineering from University of California-Berkeley. He had a remarkable career with Hughes Aircraft Company, Lockheed Missiles and Space Company and Naval Research Laboratory (NRL) and was known as an expert in the field of defense and aerospace technology. He was preceded in death by his wife of 53 years, Patricia Ann (Wich), his parents, his brother and sister-in-law, Lloyd Frederick (Dorothy) Anderson, and sisters, Ruth and Eleanor. He is survived by his three children, Linda (Reid) Slayden, Eric (Cheryl) Anderson, and Kristin (George Duncan) Anderson; six grandchildren: Brandon (Chelsee) Anderson, Andrew (Mariah) Anderson, Sherri Anderson, Jamie Showalter, Emma Anderson and Gary Showalter; one great grandchild, Samantha Anderson; and nieces and nephews. Bob was a proud Swedish Finn his entire life and enjoyed many trips to Finland to visit family members there. Since Bob and his brother Lloyd kept strong ties with relatives in Finland, those relationships continue today with their descendants. John Robert Anderson, 84, formerly of Mountain View, California, died unexpectedly in his Minden, Nevada home on June 15, 2017. Born December 31, 1932 in The Bronx, New York City, Bob graduated from New York University with a Bachelor of Science degree in Engineering Physics in 1954. He had a passion for the night sky and the field of aerospace. Summers spent with his family in a Scandinavian community at Hillside Lake, New York inspired Bob to head west for the open spaces of California. 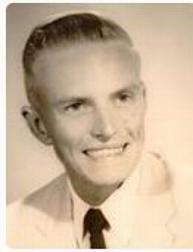 Acceptance into the Howard Hughes Scholarship Program brought him to Los Angeles in 1954. There he combined grad school at UCLA with research in high power electron beams at Hughes Aircraft Company. The California social scene kept Bob busy camping, waterskiing and snow skiing. He fell for Hughes Aircraft Company ski club member Patricia Wich, who delivered the mail to Mr. Hughes' office. Bob and Pat were married in September, 1958. In 1959, Bob earned a Master of Science degree in Electrical Engineering from the University of California at Berkeley. He chose to return to Hughes Aircraft Company because they had just received funding from NASA for research in ion (electric) propulsion of spacecraft. The Hughes Aircraft team did succeed in developing the ion engine (and Bob enjoyed seeing the technology resurface for missions such as NASA's Dawn space probe in his retirement years). When funding for electric propulsion began to wane in 1966, Bob moved into the field of electronic warfare where he specialized in laser applications. This was the beginning of a 51-year engineering career in the following high technology fields: electro-optics, infrared sensors, laser effects, microwaves, physical electronics, plasma physics, pulsed power, particle beam devices and electric propulsion. Bob integrated diverse technologies, components and assemblies into working system hardware. These include: system engineering of equipments for space propulsion; electronic warfare; acquisition, pointing and tracking; high energy lasers and tactical countermeasures. His career took place at the following companies: Hughes Aircraft Company, U.S. Naval Research Laboratory, ILC Technology, Physics International and Lockheed Martin Missiles & Space. Most recently at Lockheed Martin he was the Principle Investigator for Kill Assessment Technology, co-developer of the FLASH code for hypervelocity intercept phenomenology and signatures, and served as a lead weapon system analyst for the Terminal High Altitude Area Defense (THAAD) program. Bob and Pat had homes in Malibu, California, Annandale, Virginia and Mountain View, California. They were constantly making home improvements and Bob did most of the handiwork himself. Between projects they found time to travel abroad and to visit relatives scattered across the U.S.
Bob was preceded in death by his parents, John Alfred Anderson and Edith Kaino Anderson; his brother, Lloyd; and his wife, Patricia. He will be missed by his three children and their spouses: Linda (Reid) Slayden, Eric (Cheryl) Anderson, and Kristin (George Duncan) Anderson; six grandchildren: Brandon (Chelsee) Anderson, Andrew (Mariah) Anderson, Sherrie Anderson, Jamie Showalter, Emma Anderson and Gary Showalter; and one great-grandchild: Samantha Anderson.